Pretoria – Science and Technology Minister Naledi Pandor on Saturday kicked off the construction phase of a R30 million science centre facility at a sod-turning event in Cofimvaba in the Eastern Cape. The event was part of an imbizo to raise awareness about the importance of science and technology in society. Cutting-edge design technology has been incorporated in the construction of the Department of Science and Technology’s new science centre. The construction of the science centre will assist 26 high schools in the area. Currently, these schools rely on a mobile science unit donated by the Department of Science and Technology (DST) and Sasol. The DST appointed its entity, the Council for Scientific and Industrial Research (CSIR), to design the new science centre, which is scheduled for completion by the end of 2016. The CSIR design demonstrates how extremely environmentally friendly buildings can be designed, constructed and occupied. The science centre has been designed to achieve water and energy savings by combining technologies to maximise building performance. A net-zero energy building is a building that produces as much energy on site as it consumes. Similarly, the net-zero water design will see the building harvest more water than it uses – making it one of only a handful of buildings in South Africa that can do this. The science centre will produce the energy it needs through solar panels on the rooftop and small-scale wind turbines. This will make it a grid asset, as energy generated on site can be fed back into the grid when the building has a surplus. The centre’s energy demand is estimated at 110 000 kWh per annum. This will require an 80 kW solar-electric system mounted on the roof of the centre, and a 30-45 kWh battery storage system to reduce the building’s peak energy demand. Small-scale wind turbines can supplement the solar energy production. 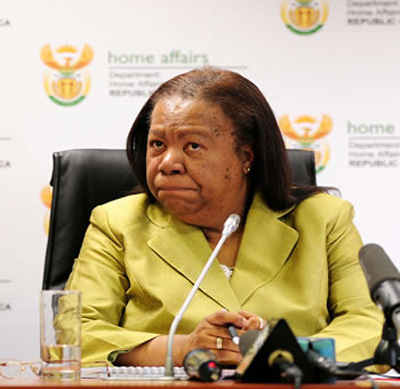 Minister Pandor said the centre was a ”living lab”, serving as proof-of-concept in the building industry. The Minister said the centre would run science programmes for recreational and leisure purposes – showing that science could be enjoyable. Teachers and learners in the district and beyond will be supported in their lessons through a host of activities. The centre will host comprehensive science, engineering and technology career awareness programmes to help guide the career choices of learners. “Our aim is to develop a society that is knowledgeable about science, critically engaged and scientifically literate,” said the Minister. The Deputy Minister of Education, Enver Surty, welcomed the initiative to build the facility in the rural area, saying the Department of Basic Education had long been in partnership with the DST to improve the learning and teaching of science in the country. 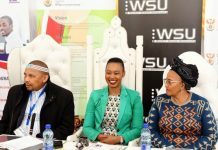 “The learning of maths and science is not difficult,” he told the hundreds of learners attending the event, that the Department of Basic Education would continue delivering state-of-the-art schools in the country, as they had been doing over the past two years. At the imbizo, the DST also hosted an exhibition to expose young people and the community to careers in science, as well as practical demonstrations of how science is used in day-to-day life.